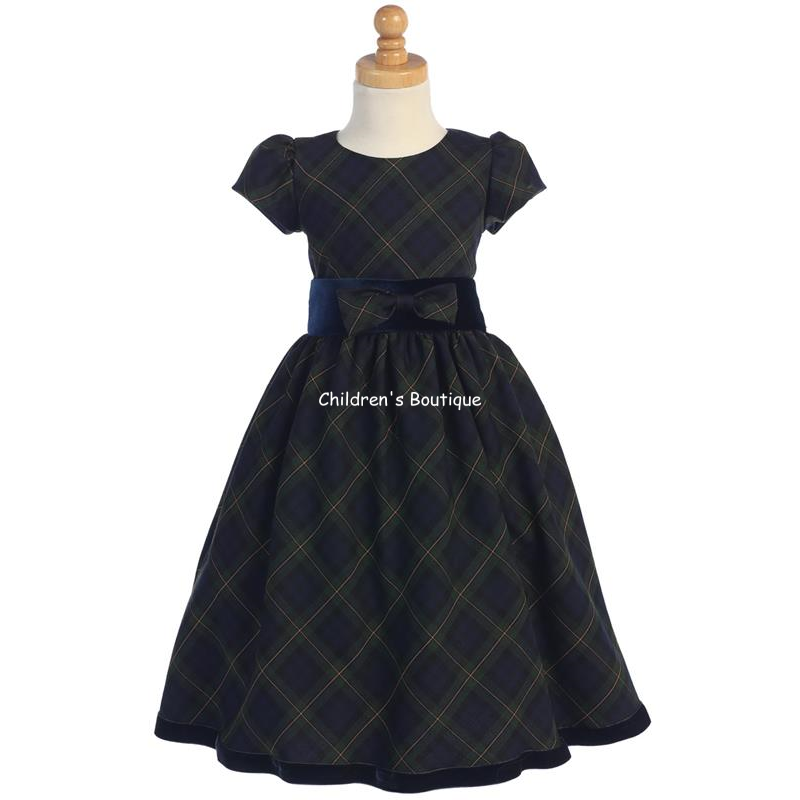 Classic plaid holiday girls dress. Beautiful rich colors and the classic design is always a popular one for the holidays. 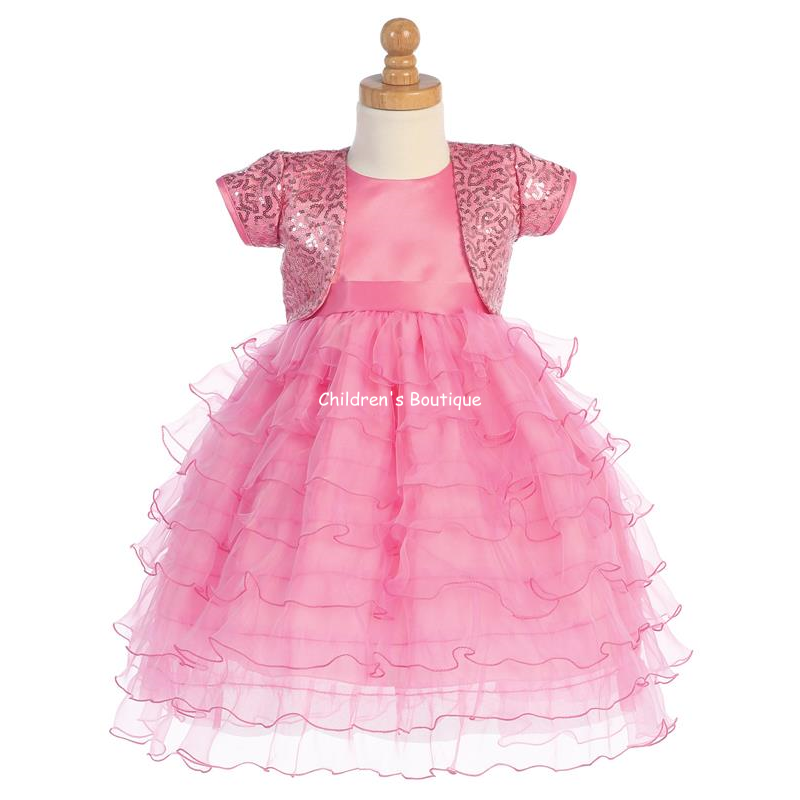 The girls dress has short sleeves and velvet trim along the hemline and waistline. 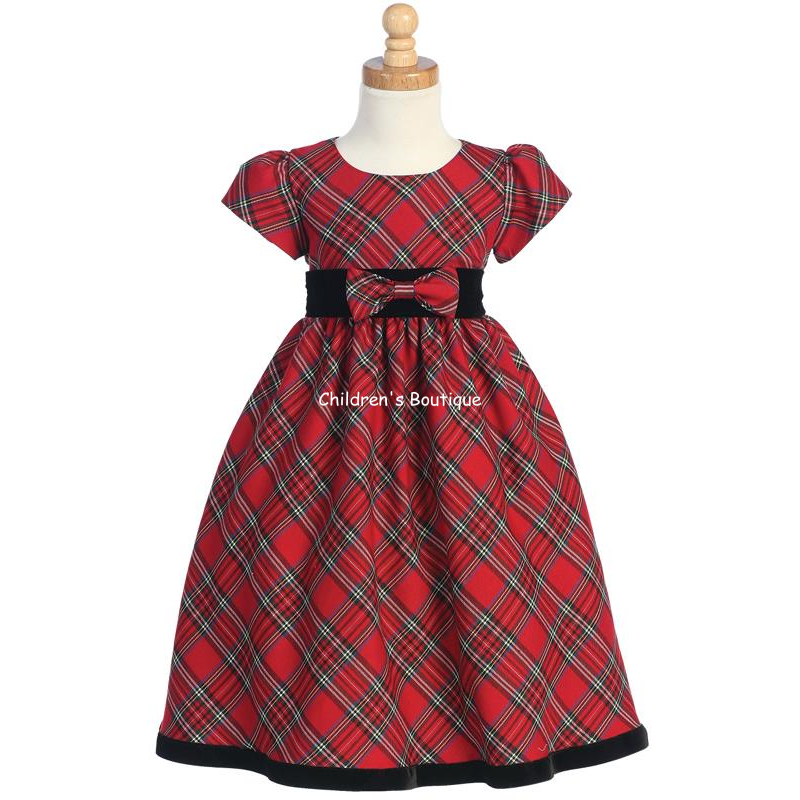 An adorable plaid bow is on the waistband to complete the dress. Zipper closure on back. PLEASE NOTE: The measurements are inches and are approximate. Please allow 1-2 inches between body and garment for comfort. Length measurement is from top of shoulder to hemline. 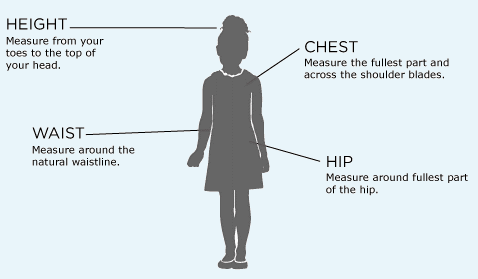 To get an accurate measurement, your child should only be wearing under garments or tight fitting clothing. If you do not have a soft tape measure, then you can always take a piece of string or ribbon, and lay it down on the tape measure to get the number. If you have measured your child and still have questions regarding sizing we are more than happy to help you find the best size. Chest: Wrap the tape measure around the fullest part of her chest, across the shoulder blades letting the tape pass right over the bust line, under her arms. Waist: Measure your child where the belly button sits around the natural waistline. Some children have a slight belly and you will want to measure the widest point of your child's belly. T-Length: The length of the garment is measured from the top of the shoulder to the hem line and for t-length, the dress should fall between mid-calf to ankle. Floor Length: The length of the garment is measured from the top of the shoulder to the hem line for floor length. Starting from your child's shoulder, take the tape measure all the way down to see how long a dress will be. 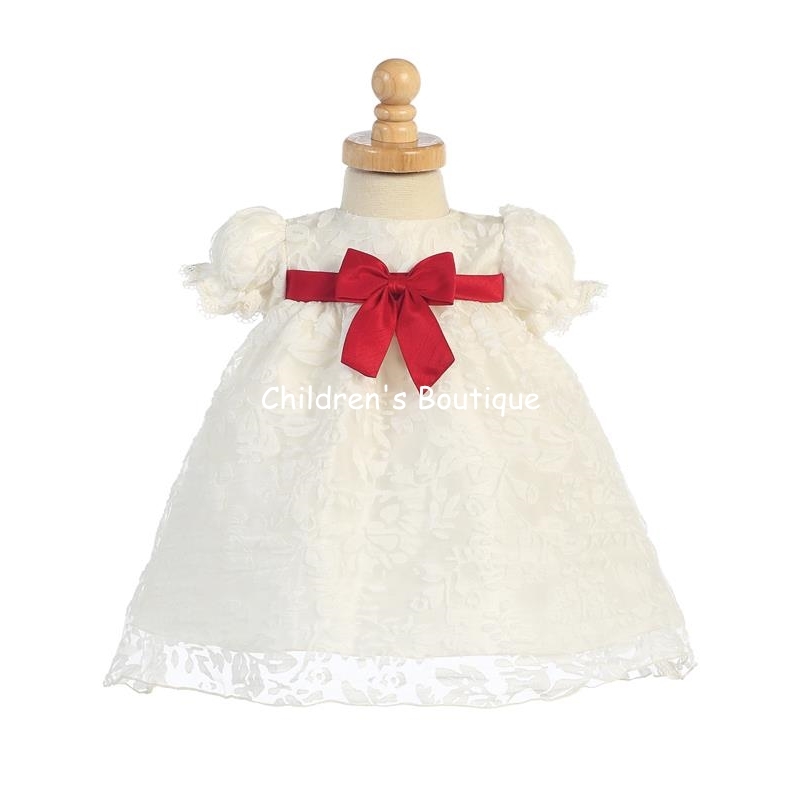 Children's Boutique sells quality children's formal wear at affordable prices. 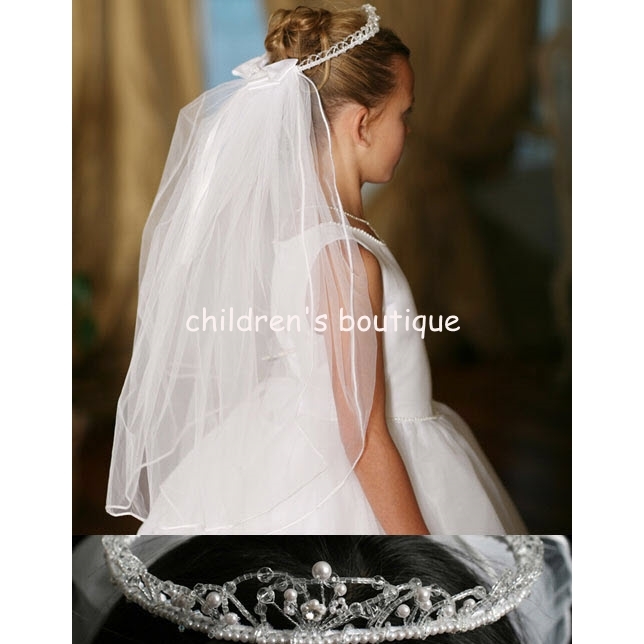 Selection includes tuxedos, flower girl dresses, communion dresses, christening gowns, pageant wear, and special occasion dresses. 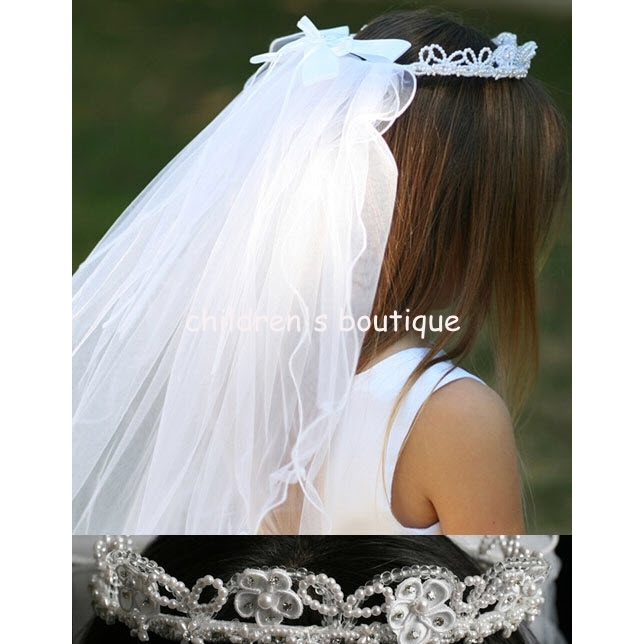 We also stock crowns, veils, gloves, hair accessories, bridal baskets, pillows and purses. All accessories are made in the USA. 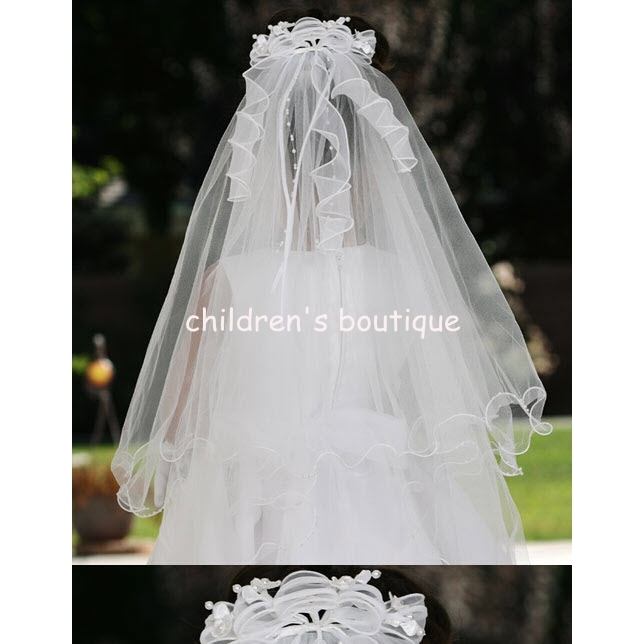 Copyright © 2000-2019 Children's Boutique.